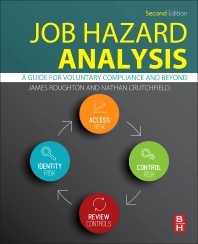 Job Hazard Analysis: A Guide for Voluntary Compliance and Beyond, Second Edition, provides a complete reference for performing JHA and setting up a JHA program. The book identifies the basic job steps and tasks, their associated hazards and risks, and safe operating procedures and hazard controls based on this analysis. Authors James Roughton and Nathan Crutchfield argue that the JHA should be the centerpiece of any risk control and occupational safety and health program. However, the traditional JHA has potential problems in gathering and analysis of task data and, with its focus on the sequence of steps, can miss the behavioral effects and the systems interactions between tools, equipment, materials, work environment, management and the individual worker. The concepts are presented for the JHA, incorporating elements from Behavior-Based Safety and Six Sigma. Readers are taken through the whole process of developing tools for identifying workplace hazards, developing systems that support hazard recognition, developing an effective JHA, and managing a JHA based program that can be easily incorporated into occupational safety and health management systems, thus allowing businesses to move from mere compliance to a pro-active safety management. The book is supported by numerous examples of JHAs, end of chapter review questions, sample checklists, action plans, and forms. Safety engineers, advisors, managers, plant operators, maintenance supervisors, loss control and insurance professionals, lecturers and students in occupational safety and health courses. 1.3. Why is the JHA important? 2.23. What contributes to an at-risk event? 2.31. Will a BBS process work for you? 3.2. How are at-risk events developed? 4.1. Why should employees be involved? 6.12. Who should review the workplace? 8.11. Why are unnecessary risks taken? 10.6. Developing a tool kit for the JHA process? 12.2. How is a good Training defined? 15.2. What does process improvement mean? 15.11. Step 3, define the appropriate metric – how will the safety system be measured? Final Words: Where Do We Go From Here? 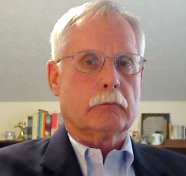 James Roughton CSP, CRSP, R-CHMM, CET, Certified Six Sigma Black Belt, is an experienced Safety Professional with in-depth knowledge of the use of Social Media to help improve productivity. He is an accomplished speaker, author, and writer who develops and manages his websites providing a resource network for small businesses, http://www.safetycultureplusacademy.com. Nathan Crutchfield CPCU, ARM, ARP, has provided expertise to a broad array of clients that include public entities, associations, and general industry. He was awarded the National Safety Council’s “Distinguished Service to Safety Award” in 2001 and served on the National Safety Council Board of Directors in 1993 to 1995; and was a Vice President, with major risk management and insurance brokerage for over 20 years. He co-authored Job Hazard Analysis, A Guide for Voluntary Compliance and Beyond.